NEW YORK - Arnold Palmer still had a parking spot outside his old office at Golf Channel, the network he co-founded more than two decades ago. “All of them seemed to have some sort of Arnold Palmer story,” Golf Channel president Mike McCarley said in a phone interview Monday. There were already crews in place Sunday both in Orlando for a late-night recap show and in Minnesota for the coming week’s Ryder Cup at Hazeltine. The network interrupted coverage of the PGA Tour Champions event to start what would become 23 straight hours of live programming. Sixty-five staffers were at Hazeltine, but the commentators there originally weren’t supposed to go on air until late Monday. Technicians hustled to get the set operational Sunday night. In Orlando, 30 members of the production crew came in overnight. Twenty-five staffers started their normal shifts for the “Morning Drive” show at 1 a.m., but they stayed an extra five hours until 3 p.m. to handle an additional afternoon coverage slot. With word of Palmer’s death spreading Sunday evening, Golf Channel executive producer Molly Solomon arrived at headquarters around 8:30 p.m. and still hadn’t left as of late afternoon Monday. 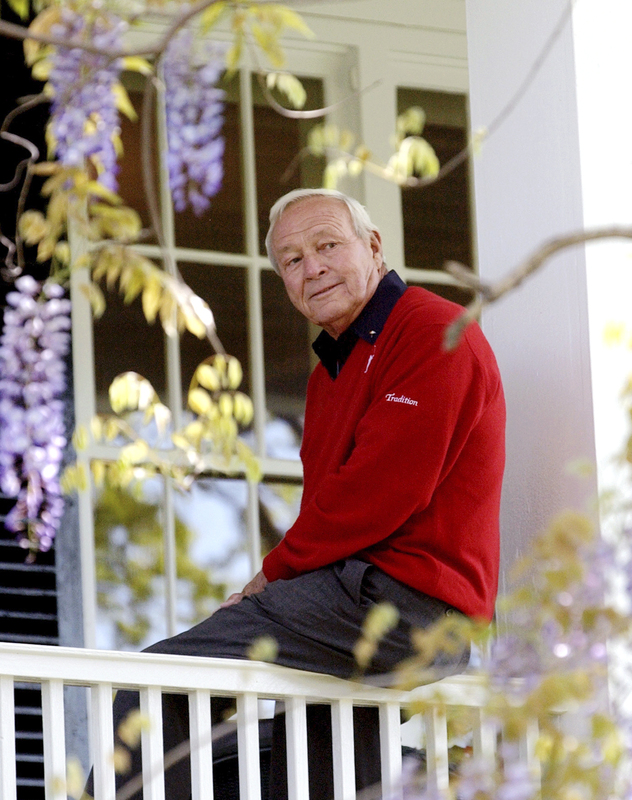 Live coverage was scheduled to extend until 8 p.m. EDT on Monday, when Golf Channel planned to re-air its four-hour documentary series, “Arnie.” The first three hours premiered in 2014 and were two years in the making. “The planning for this day was a natural extension of that documentary process,” McCarley said. The coverage was to continue until at least midday Tuesday, when executives will assess how to make the transition to talk about the Ryder Cup, which starts Friday, taking a cue from viewers, McCarley said. 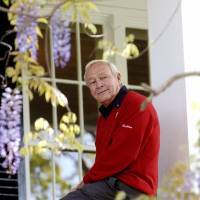 When the headquarters were renovated, the spot of Palmer’s old office became the Arnold Palmer Research Library. There’s an employee cafeteria called Arnie’s. “Morning Drive” is shot in Studio A.P., with his signature umbrella over the on-air light outside. Palmer was there to cut the ribbon when the redesigned studio debuted a few years ago. From her office, Solomon could see the parking spot tributes grow Monday. At one point, a vendor’s truck pulled up, and the driver jumped out with the engine still running to snap a selfie with the memorial in the background.